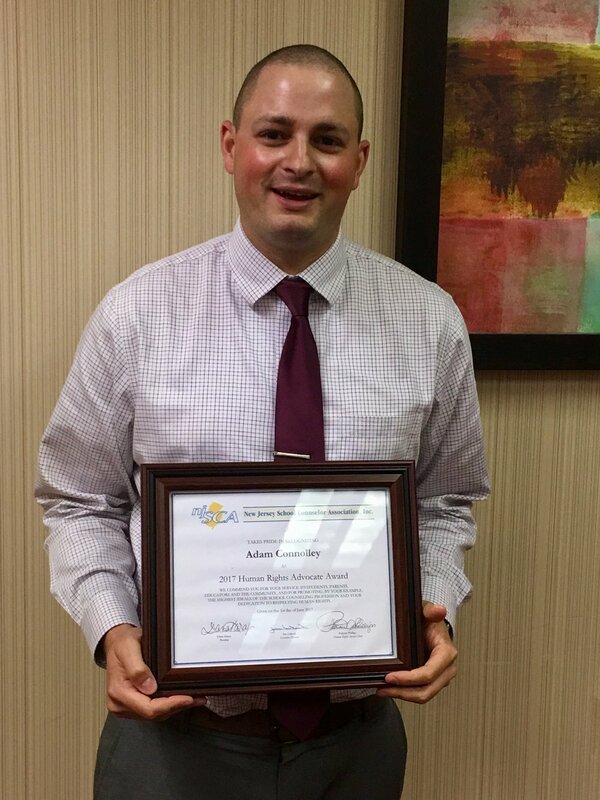 NJSCA awards a New Jersey School Counselor in any level who leads by example and actively engages in activities that promote human rights for all. Perhaps you know a school counselor who has organized a club or a focus group, led a workshop or community event, or developed lessons advocating human rights or a school counselor who has planned activities that encourage interaction between racial and ethnic groups, promoted dialogue about social issues, or provided tolerance education training. The Human Rights Advocacy candidate should embrace the beliefs that underlying our differences we all share a common humanity and that all students have fundamental rights simply because they are human beings. Our candidate should be an individual who reflects on his/her own biases and attitudes regarding all aspects of equality and tolerance and then challenges others - students, staff, and community members alike - to think more seriously about these issues, to take a stand, and to actively seek a venue in which a significant difference can be made. This year's NJSCA Awards Dinner was May 24, 2018 at the Hyatt Regency in New Brunswick, NJ. The 2019 Application will be available in February 2019.